Lightly grease a griddle and heat over medium low heat. Pour batter by 1/4 cupfuls onto griddle. Cook until bubbles on top begin to pop and bottoms are golden brown. Turn; cook until second side is golden brown. 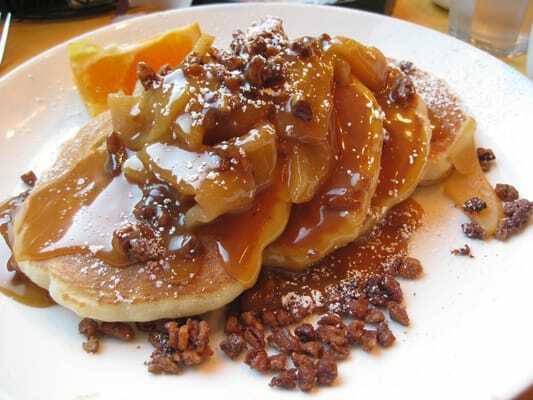 Notes: You may also make plain pancakes from a mix and then top them with apples and pecans which have been seasoned with the apple pie spices and sauteed in butter.